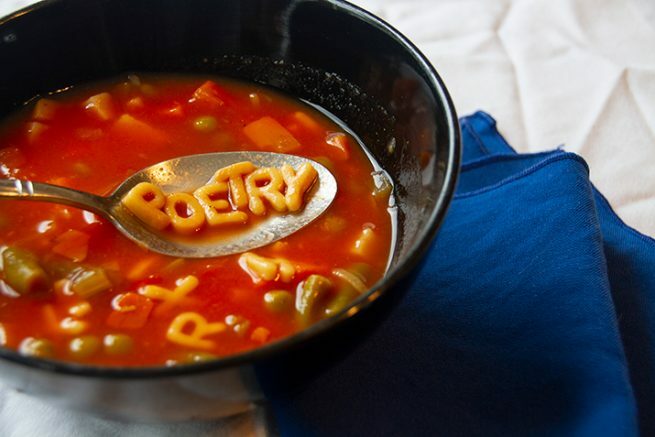 American River College will celebrate National Poetry Month on April 4 by hosting its annual Word Soup event, during which English professors Gina Barnard and Gloria Pace Valle will read some of their best poems to those in attendance. Both readers will have about 15 to 20 minutes to present their work and the remaining time will be dedicated to a question and answer session with Barnard and Pace Valle about the poems they read. Barnard said she has participated in many poetry readings in the past, but the Word Soup event will be her first reading at ARC. Barnard said she is looking forward to sharing her work with her students and others on campus for the first time, as it presents an opportunity for her students to see a different side to their professor. To hear the works of Barnard and Pace Valle, head to Raef Hall, Room 160. The reading will run from 12:15 p.m. to 1:15 p.m.
Be the first to comment on "Word Soup for the soul; professors showcase work for National Poetry Month"